Cats are awesome pets, there's no doubt about that. But have you ever come across one that can say "hey"? The cat in the following video can. Warning: you might not want to get a pet cat after watching this. A cat messing up with the toilet paper is one thing. 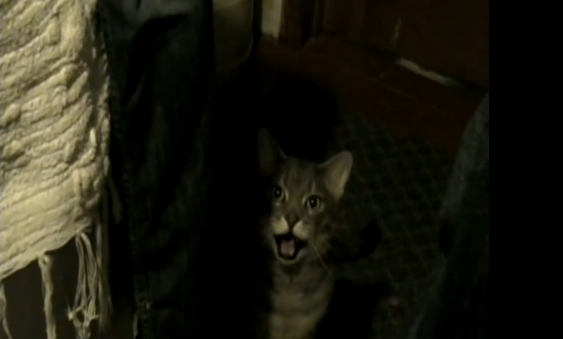 A cat running around telling you "hey" is just...creepy.